Outdoor Waterproof Travel First Aid Kits Oxford Cloth Tactical Waist Pack Camping Climbing Bag Black Emergency Case Features: Premium material and sturdy double stitching strengthen the function of waterproof and anti corrosion, it is sturdy and durable as well as comfortable. Multiple tight and elastic straps and a spacious pocket is enough to store your vital supplies. Interior pockets for holding money, credit cards, pens, and other small personal items. Easy to carry around in any environment. Suitable for travel, camping, climbing and other outdoor activities. Dual zippers and copper snaps on the straps to keep your pouch securely attached. Rip away panel feature and a wide handle for rapid removal makes it a snap to render first aid quickly. 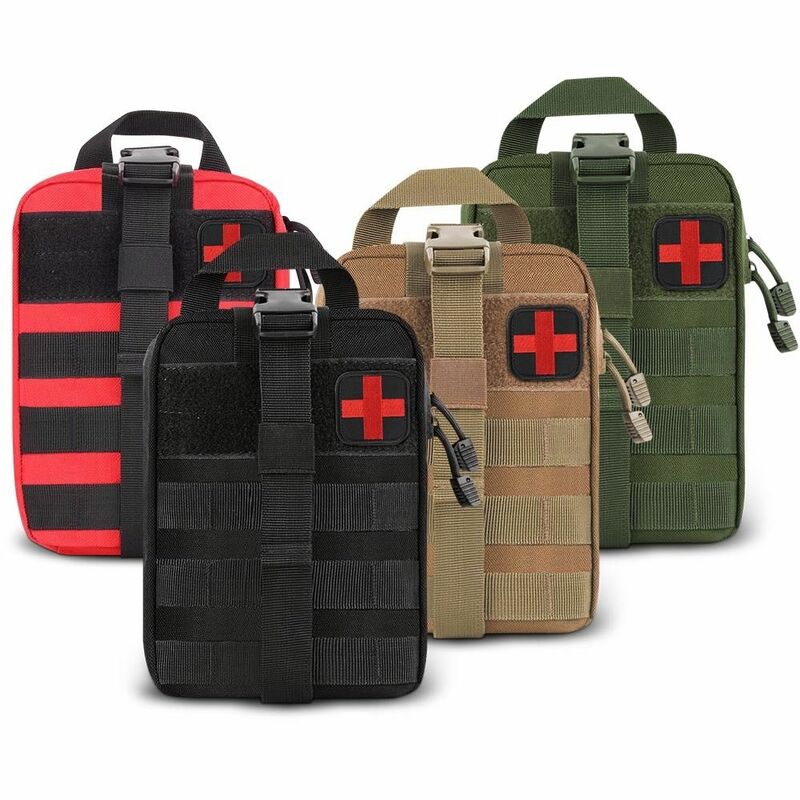 Perfect for carrying medical supplies, suitable for men and women.